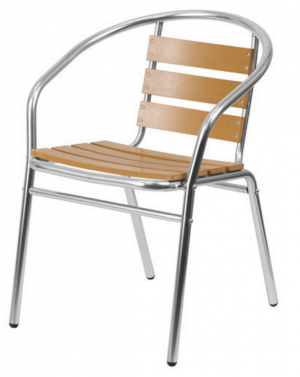 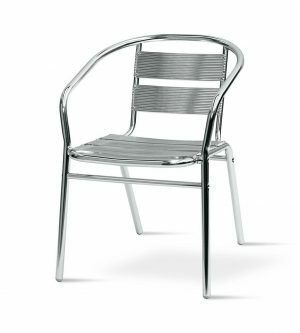 Lightweight double tubed aluminium bistro chair. 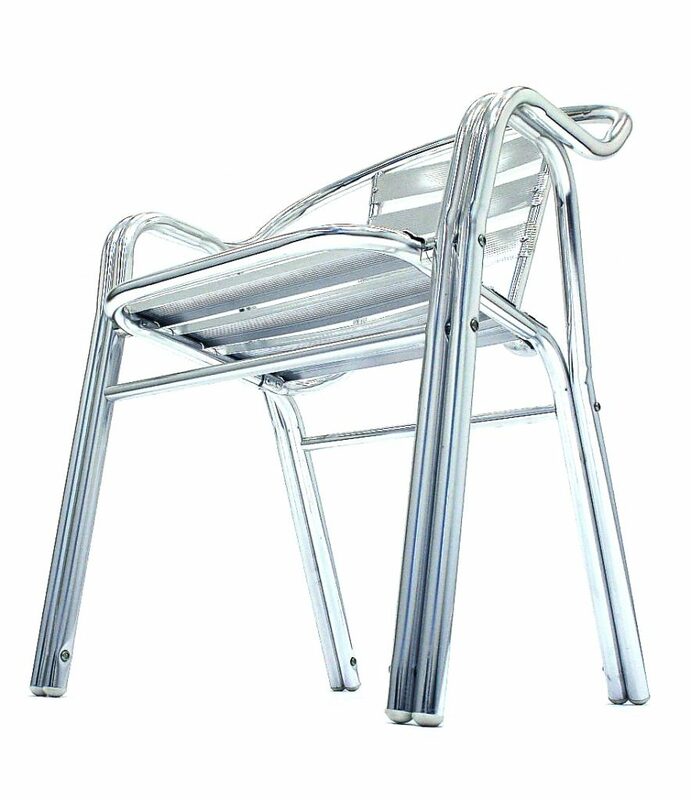 High quality double tube design, much sturdier than normal chairs of this type. 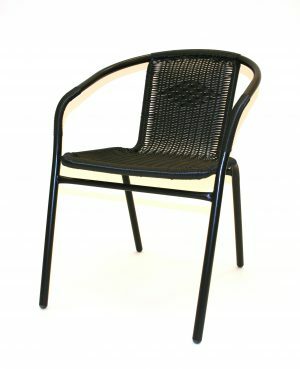 Chairs are 80 cm high and 57 cm wide, the seat height is 46 cm. 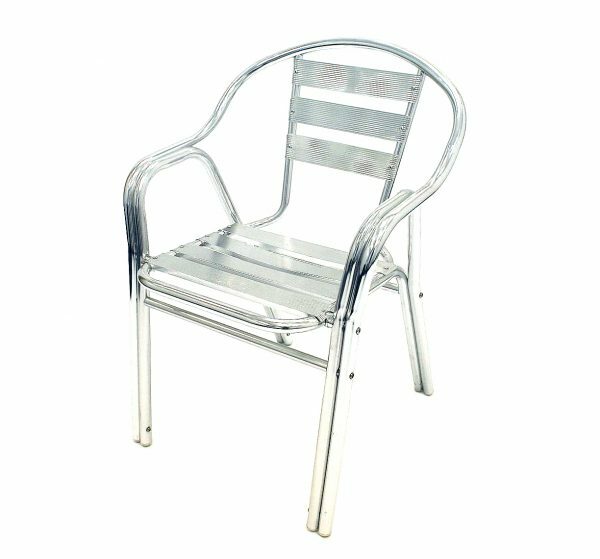 Chairs have a double aluminium frame for greater strength and come with an aluminium seat and back and stack on top of each other for storage. 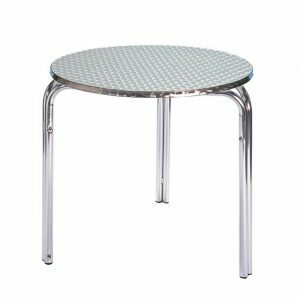 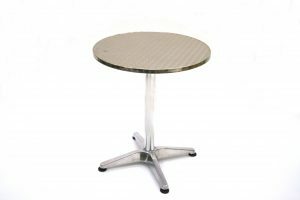 Would be suitable for use in the garden or in cafe’s and restaurants etc and would look great alongside any tables from our aluminium bistro table range.. 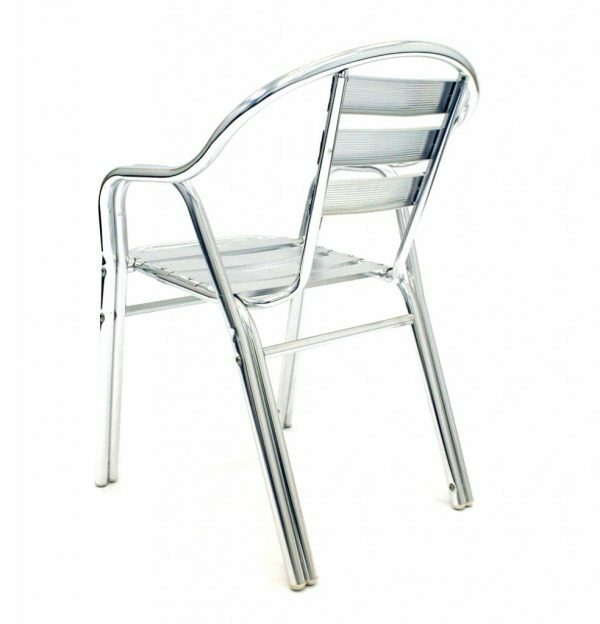 These double leg aluminium chairs are also available in a aluminium cafe bistro set, that include four chairs and table.